100% of freshwater fishing licence fees go toward making fishing in BC even better. Under an agreement signed between the Province and the Freshwater Fisheries Society of BC in 2015, 100% of the revenue generated from fishing licences directly benefits recreational fisheries. That’s right, every penny goes into research, conservation and education programs, improving angler access and our stocking program. The Habitat Conservation Trust Foundation receives 100% of the surcharge revenue collected from angling licence sales to provide grants for fish conservation projects. Our goal is to provide the best freshwater fisheries in North America. The Freshwater Fisheries Society of BC is a private non-profit organization. Our mandate is to enhance and conserve BC’s freshwater fisheries for public benefit. Working in partnership with government, industry and anglers, our goal is to make fishing in BC even better through the enhancement and conservation of BC's freshwater fish resources. Freshwater sport fishing is an important cultural, recreational, and economic contributor to the province. Each year, more than 300,000 licensed anglers spend about $500 million in BC, with much of the economic activity taking place in rural areas. About 50% of all angling activity takes place on the over 800 lakes and streams we stock. The Society also plays a key role in delivering a wide range of conservation services needed to protect and in some cases restore wild fish populations that include the endangered white sturgeon. We own and operate six major fish hatcheries that are located in Duncan, Abbotsford, Summerland, Clearwater, Fort Steele, and Vanderhoof. We also operate a trout distribution centre in Prince George and nine egg collection stations situated throughout the province. Every year, the hatcheries raise and release over eight million trout, char, and kokanee salmon into 800 lakes around the province. We also manage special recovery programs for endangered species such as white sturgeon in the Columbia and Nechako Rivers. 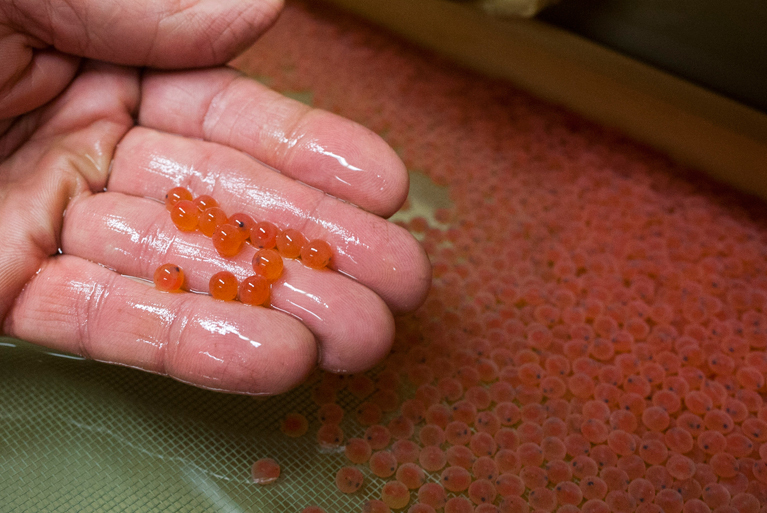 Most of our hatcheries welcome visitors and offer self-guided tours. Seasonally, we offer guided tours at our Abbotsford, Fort Steele, Summerland and Vanderhoof locations. Please contact us for more information and to organise a booking. Learn to Fish is an introductory program appropriate for kids 5 - 15 and their families. This half-day course will teach participants the basics of how, when and where to catch fish in fresh water. Adult Learn to Fish programs also run through-out the year. Please visit the Events page to register for a course. An adapted version of the course is available for organized groups of all ages - please email fish@gofishbc.com for more information on group bookings. Birthday Parties - For a birthday party that really takes the cake, come fishing! Click here for more information, or to make a booking please contact us. Educational Field Trips - A one-of-a-kind experience for students and teachers alike! Programs are available at our Abbotsford and Fort Steele locations, and can be fully tailored to your group's age and interests. Our Science Division provides professional support and leadership for program evaluation, applied research, planning and for the development of technology and products. This division is supported by specialists in the fields of fish culture, fish health, genetics, fish biology and sport fisheries management. Historically, the Society’s activities have been focused on stocking small lakes, promoting sport fishing and improving the science around fish culture and small lakes fisheries management. Our new funding model will allow us to initiate additional projects that further improve angling opportunities and management through assessments of hatchery and wild fish populations, improvements to angler access, enhanced compliance monitoring and enforcement, improvements to hatchery facilities and the stocking program. Through careful investments in the resource and its management, there will be continual improvement in our public freshwater fisheries that provide important benefits to anglers, businesses and governments. Our Fish Health Unit maintains year round diagnostic assessments on all hatchery-reared fish to ensure their health, protect the aquatic ecosystem from exposure to disease pathogens and confirm compliance with federal and provincial regulatory standards. Relocated in 2009 to a new facility at the Freshwater Eco-Centre in Duncan, our lab facility contains a host of individual labs used for testing necropsy, serology, virology, PCR and tissue culture. The Fish Health Unit can also perform bacteriology isolation and basic identification of some common fish bacterial pathogen along with a number of other disease screening techniques. Positions may be full or part-time, permanent or seasonal. Either way, we offer competitive compensation and benefits, opportunities for career growth and development and the experience of working with a knowledgeable and enthusiastic team. Are you the catch we’re after? Do you have the qualifications and expertise required for a posted opportunity? If so, you’re off to a good start but we’re looking for more. Professionalism, commitment, and good communication skills are essential. You’ll also need strong desire to be part of a progressive, conservation-minded team and a passion for outdoor recreation. Open to internal and external applicants. For more information on this auxiliary opportunity, and to apply, please view the job posting. We thank all candidates for their interest. However, only those selected to continue to the next phase of the recruitment process will be contacted. Contact jobs@gofishbc.com for general enquiries. The Freshwater Fisheries Society of BC awards up to four scholarship grants annually, each with a value of up to $1,500. These scholarships are available to students enrolled in a fish culture or fisheries management program within a recognized post-secondary educational institution in British Columbia. To be eligible, applicants must have completed at least their first year of postsecondary studies and plan to continue as a student, with the intent of establishing a career in BC in one of the following fields: fish culture; recreational fisheries management; fisheries enhancement, conservation and/or research. Funds will be awarded as a tuition credit for the fall term upon proof of full time enrollment. Previous recipients are not eligible to reapply. Interested applicants may submit either a short essay or an audio visual presentation that outlines your career aspirations and how your past experience, interests and chosen educational program will benefit BC’s freshwater recreational fisheries upon your graduation. Also outline an environmental issue in BC that’s important to you and the reason why. An essay submission must be between 750-1000 words or an audio visual presentation between five and ten minutes. Your application must also include a copy of your recent transcript, your resumé, the names and contact information of three references, including at least one academic and/or faculty member reference. In addition you must provide permission to publish your photo and information in the media, our newsletter, and on social media sites if you receive an award. Seasonal employment opportunities may be available with the Freshwater Fisheries Society of BC (typically posted in January), and scholarship recipients are encouraged to apply. We are now accepting scholarship applications until May 31, 2019. Submit your application to the Freshwater Fisheries Society of BC, Human Resources Department, preferably by email to: jobs@gofishbc.com. Visitor Hours: Daily, 8:30 am - 3:30 pm. Visitor Hours: April - June: Monday to Thursday 10:00 am - 2:00 pm. July - August: Monday to Friday 10:00 am - 3:00 pm. September: Monday to Thursday 10:00 am - 2:00 pm. November - March: Guided tours by appointment only.